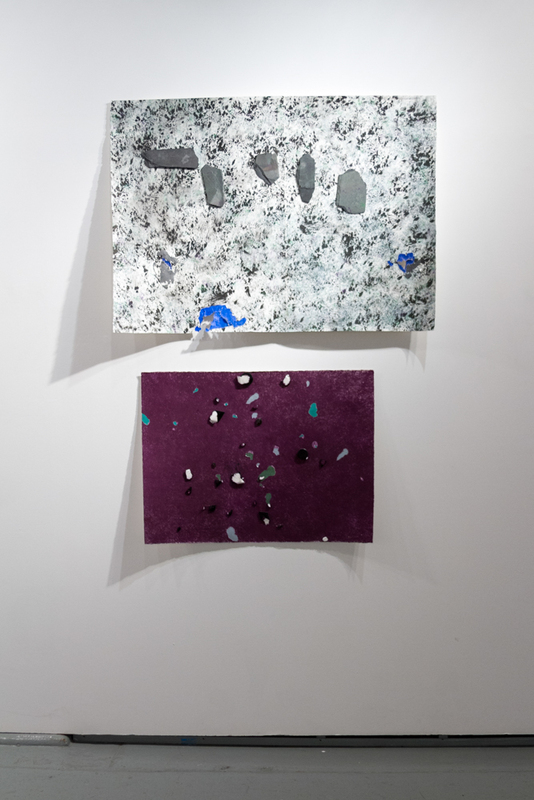 Ortega y Gasset Projects is pleased to announce Wish Me Good Luck, the solo exhibition debut of work by Monica Palma, curated by Eleanna Anagnos. In the intersection between time-tested auguries and contemporary artistic approaches, Palma finds new ways to create life, through a search for meaning and identity. Palma’s labor-intensive, large works explore Pre-Columbian culture, psychoanalysis, alchemy, ritual, divination, and healing. 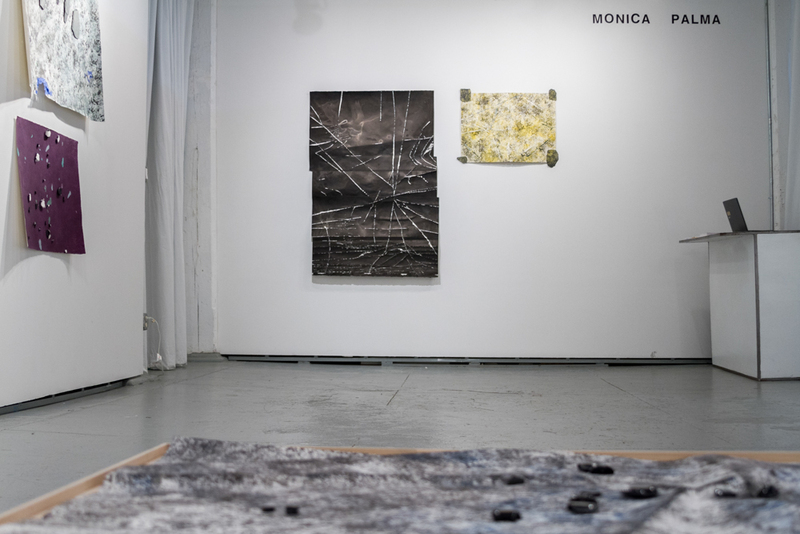 Spanning different genres and media, Monica Palma employs drawing, textile design, painting, sculpture and performance to negotiate the breach between her Mexican heritage and her experience living in the US. Wish Me Good Luck traverses four of Palma’s bodies of work: Textile Drawings, Sound Drawings, Sound/Mirror Drawings, and her most recent, Souvenirs. InSouvenirs, Palma drapes large sheets of paper across her body, which become an extension of herself. Meaningful actions create folds: she hugs the painted paper, creating creases and tears which she then cuts into and marks using saws, knives and paint. Through Palma’s rigorous physical engagement, her work is transformed into remains from a mystic ritual performance: a body map, a guide, or a membrane. Like sound etched into an LP, it is also a physical record of her sonic experiences. Obsidian is an important material for Palma, for its traditional uses in pre Columbian culture, and also for her personal connection to the volcanic glass, which is found in abundance in Mexico. Assuming the role of shaman, Palma sets an intention or makes an inquiry, and rolls them like dice (or spits them out of her mouth) onto a work in progress. After gluing the them in place, Palma sometimes reworks this initial positioning of the stones and tears them off, thus asserting power and control over the chance results. The paper bears the scars of such tearing, revealing the artist’s desire to exert determination beyond the traditional methodologies of divination. Palma believes in second, third and fourth chances.